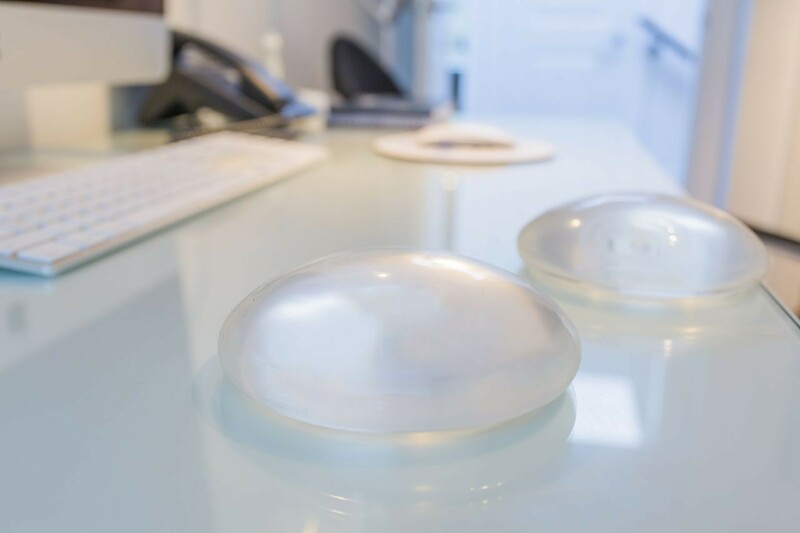 On March 25-26, 2019, the Food and Drug Administration met to discuss the benefit-risk profile of breast implants. There has also been European news coverage concerning breast implant safety. As a result of this recent news, many of our patients - past, present, and future - have had concerns about two different implant-related medical conditions: "Breast Implant Illness" (BII) and Breast Implant Associated Anaplastic Large Cell Lymphoma (BIA-ALCL). Dr. Feldman @breastexpert does the vast majority of breast augmentation procedures here at Bancroft Feldman. It's his policy to be completely upfront and transparent about breast implants and the breast augmentation procedure, so here we will address some concerns we've heard. Our patients often cite internet stories they've read about implants causing health problems. The problem with these stories that it's difficult to prove that the health issues that some people experience and claim are because of breast implants are actually caused by their implants. This is not data that has been reproduced in large controlled medical studies. Many other medical conditions could cause the symptoms they report. All surgical procedures and medications carry a risk of side effects. Most women who have breast augmentations do well during and after their surgery. 98% of woman reviewing the procedure on RealSelf say it was "worth it." However, about 5% of Dr. Feldman's patients experience local cosmetic complications. This is significantly lower than the 7-9% industry average. An even smaller number of women experience health issues later that they attribute to their breast implants. When our patients come to us and say that they believe their implants are causing health problems, we take them seriously. Every woman is unique and her body, her genetics, her medical history, diet, and environment are also unique. Any of these, in combination with her surgery or her implants, could cause symptoms. We cannot say. Removing implants is a low-risk, straightforward operation and gives them relief from their worries about their implants. Whether it will affect what is causing the physical symptoms they report, we can't predict. During his history as a plastic surgeon, Dr. Feldman has removed only 3 of the over 3,000 sets of implants he has placed. Removal is very rarely called for, but we are happy to schedule you for removal if that is what you believe would be the best solution. Otherwise, Dr. Feldman will recommend that you visit your family doctor so that other medical conditions, including depression, anxiety, hypothyroid, autoimmune disorders, rheumatoid arthritis, lupus, West Nile virus, Zika virus, Lyme disease, multiple sclerosis, and anemia, can be ruled out as a cause. At this time the Food and Drug Administration does not agree that breast implants increase the risk for developing breast cancer, autoimmune disease, arthritis, lupus, fibromyalgia, fatigue, Lyme disease, pain or any general lack of well-being. All of these together are collectively referred to as "Breast Implant Illness." The FDA does assert that a textured implant shell appears to be strongly related to the occurrence of BIA-ALCL. BIA-ALCL is an extremely rare condition. The FDA does not recommend removing textured shelled implants if the patient is not experiencing physical symptoms. Dr. Feldman does not place these types of implants, and 99.97% of all the implants he has placed have been smooth shelled. If you are experiencing physical symptoms and are concerned about BII, you have three options for treatment. You can remove your implants and have them replaced with new implants. You can remove them without replacing them. Or you can work with your primary care physician to run more tests to further determine the cause of your symptoms. If you are experiencing enough pain or discomfort that it affects your ability to do everyday tasks, Dr. Feldman would recommend removal as well as further follow up with your primary care physician. Removal will impact the appearance of your breasts, of course, but any potential risk the implants created for your health will no longer be an issue. If you have further questions about BIA-ALCL, we answer a number of them here on our updated FAQ. Dr. Feldman and the staff at Bancroft Feldman are always here to answer our patients' questions or concerns about either BIA-ALCL or BII. Please do not hesitate to call us about your health or any question of implant safety.